Scientific name: Carex otrubae Podp. 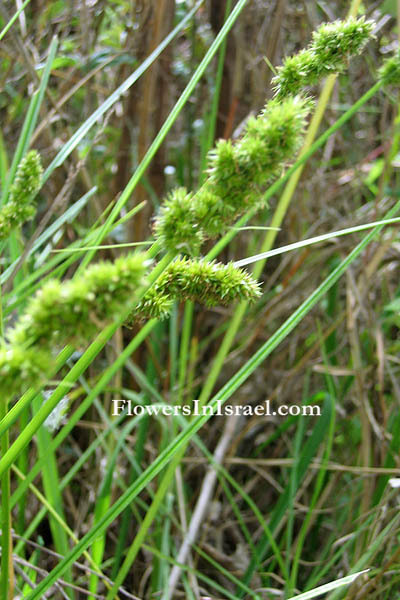 Synonym name: Carex nemorosa Rebent., Carex cuprina Nendtv. ; Carex vulpina auct. otrubae, for Joseph Otruba (b.1889), of Moravia. nemorosa, pertaining to woods and groves. The standard author abbreviation Podp.. is used to indicate Josef Podpera (1878–1954), Czech botanist. The standard author abbreviation Rebent. is used to indicate Johann Friedrich Rebentisch (1772–1810) , a Prussian botanist.